Many of you probably like me struggle with dark circles under eyes. I would even categorize myself into the group of : 'severe' dark purple under eye area. It seems that nothing that I do really helps in the long run. Only temporary reliefs by using some cool /hot mask and eye gel patches. 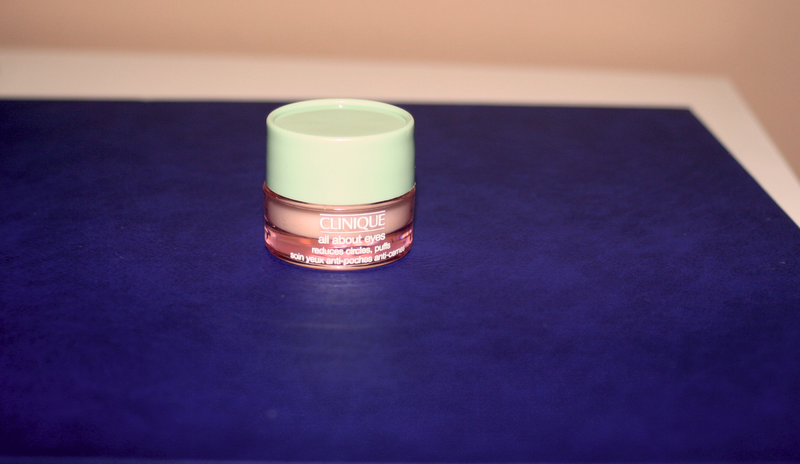 The Clinique All About Eyes is an eye cream that's really popular and is Clinique's bestselling product. I am always desperately searching for an eye cream to help me with this purple circles (you can even see visible veins OMG) and dry skin in this area. Not many under eye creams seem to work on me, it’s so difficult to find a good one, so I couldn’t wait to start using the Clinique All About Eyes. Clinique claims; Clinique All About Eyes; Ophthalmologist Tested. Moisture-rich formula diminishes the look of under eye circles, shadows, puffs and fine lines-immediately and over time. Helps boost natural collagen production. De-puffs with calming botanicals and even strengthens skin's moisture barrier against common irritants. I have the sample size jar (5mL), but even this small tube can last you very long. I have been using it now for about 2 months and now and there is still a lot of product left. It's to bad the product come's in a jar instead of a tube, it would be much more hygiene, better preserving ingredients and easier to use in a tube. The texture seems very light-weight with a light peachy creamy gel. It spreads easily onto the skin and absorbs fast in a couple of minutes. I have a dry eye area and this cream moisturizers very well. The peachy color of the cream can neutralize dark circles , but for this you would need to apply a lot of product I guess. I have been using it for 2 months now, I can say, it’s doing a great job moisturizing the area but not so much for dark circles. 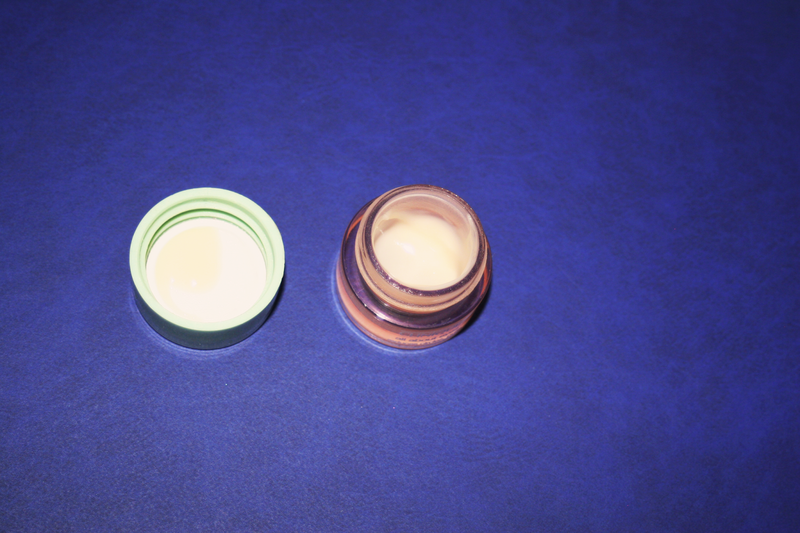 The eye area feels soft and supple after application but could be to moisturizing for oily types. In this case I would advise using a very small amount of product. It also seems as if my under eye skin got a little bit thicker! My eyes are normally over sensitive, it doesn't matter what I use I can get itchy red eyes ( so like expected, sometimes, my eyes got irritated using this cream but not as much as with other eye products. I'm actually happy about that, if I’m careful during application there is no irritation. One of the most important expectations I have from an eye cream is to help me with my dark circles , unfortunately, this cream doesn't do that for me. 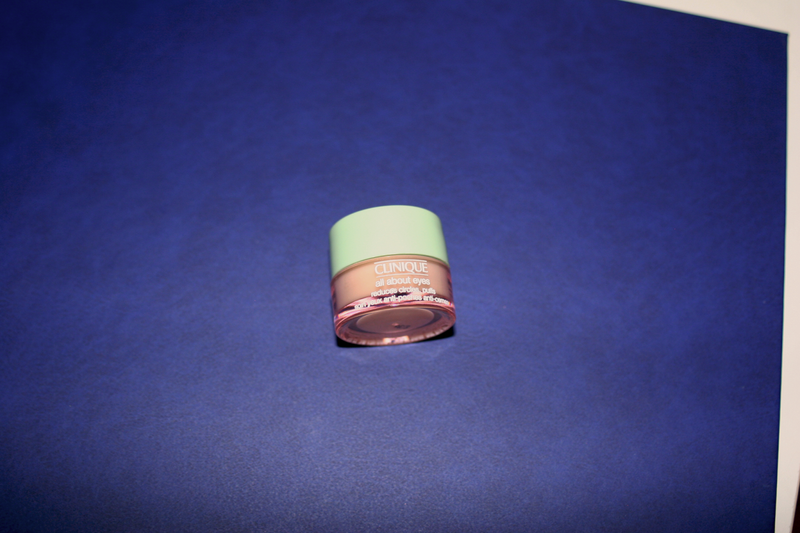 This cream seems more suited for you if you have no dark circles or just light circles. I would repurchase it again if I didn't duffer so much from dark circles.